This is an amended version of a review which will appear in Aslib Journal of Information Management. 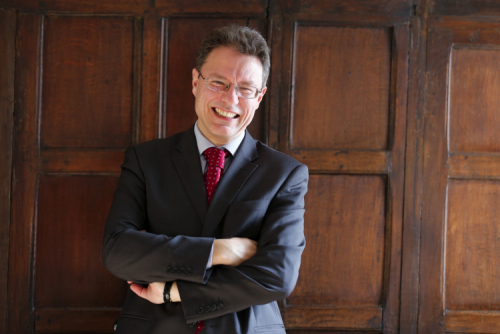 Luciano Floridi is well-known as the leading active philosopher with a strong interest in information, and his latest book extends his contributions into the area of information ethics (hereafter, as in the book, IE). Floridi sees the philosophy of information as a branch of philosophy itself, rather than as an adjunct to information and knowledge management or computer science. Information, in this view is “something as fundamental and significant as knowledge, being, validity, truth, meaning, mind, or good and evil, and so equally worthy of autonomous, philosophical investigation” (p. xii). And therefore, as with other branches of philosophy, ethics plays a major part. Floridi argues that considering the ethical problems of information, and its technologies, can lead us to reconsider some basic principles of ethics in general. This book is therefore very much a work of serious philosophy, its task being “to contribute to [the] conceptual foundations of IE as a new area of philosophical research” (p. xiii). It is the second of a series of four monographs, entitled – just in case of any doubt as to the status of this work as academic philosophy in the grand tradition – Principia Philosophiae Informationis. It follows a monograph on the philosophy of information, and will be followed in turn by a text on the politics of information. Floridi locates this work in a merger of the rival traditions of analytical and continental philosophy, and places it in a tradition from Plato and Plotinus through to Augustine and Moore, with some relation to Spinoza, Confuscius and others. The book’s arguments are situated in Floridi’s contention that we are living through an ‘informational turn’ or ‘fourth revolution’, following the scientific revolutions of Copernicus, Darwin and Freud. This sees us regarding ourselves as informationally embodied organisms, ‘inforgs’, embedded in an informational environment, the ‘infosphere’, in which the boundaries between online and offline environments merge, so that we live in a manner termed ‘onlife’. The present book is therefore about the creation of a framework of ethics for inforgs, including humans, but also artificial agents, living in the infosphere. The book opens with chapters setting the scene by describing the information revolution, and the nature and foundations of the IE which are needed as a consequence. 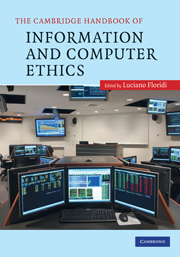 Subsequent chapters explore the moral implications of the actions of inforgs in the infosphere, while the closing chapters with issues such as privacy, information and business ethics, and morality is distributed and global information societies. 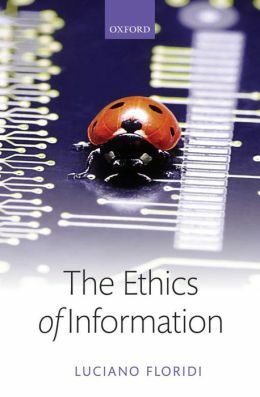 This book is not, as the author explicitly concedes, an introduction to information and computer ethics, nor a textbook on professional ethics. “IE is not immediately useful”, he tells us, “to solve specific ethical problems … but nor does a textbook on Newtonian physics solve your car problems. IE is supposed to provide the conceptual grounds that then guide problem-solving procedures” (pp. 313-314). However, there are some links to the sort of ethical issues that occur in information management; librarians’ codes of ethics get a mention, and there is a particularly interesting discussion of privacy from the infosphere perspective. With commendable honesty, Floridi concedes that the book “is not a page-turner” (p. xiv). However, it is, in my view, about as clearly written as a book of this kind can be, and the author’s use of summaries and conclusions at the beginnings and ends of chapters – which he charmingly relates to the Battlestar Galactica series – are of considerable help to the philosophical tyro. It has to be admitted that those without a strong background in philosophy will have to take much on trust, and will probably need to skip some sections, but this is no excuse for not engaging with this excellent book. For more immediate guidance on ethical problems in information management, the reader would be better consult the chapters in Floridi’s edited text on information and computer ethics, or the literature on library/information ethics summarised by chapter 11 of Bawden and Robinson’s textbook of information science. This monograph will serve an entirely different function: to act as a long-lasting source for debate on our profession’s ethical dilemmas, and to provide a novel basis for such debate. The book is well-produced, seems free from extensive errors, and has an adequate, though not very exhaustive, index. It is also quite reasonably priced, by today’s standards, for a hardback book of this kind. It deserves to be widely read by advanced students and researchers in the library/information sciences, and by the more reflective kind of information practitioner.